For 20 years, Michael J. Winer, Esq. has practiced in the areas of plaintiff’s workers’ compensation and appeals, personal injury, insurance disputes, and business litigation. He employs a qualified support staff of certified paralegals to provide the best possible representation of his clients. Since 2002, Attorney Winer has been Board Certified in Workers’ Compensation Law, having been re-certified in 2007 and 2012. For three years, he served as the editor of the case law section for the Florida Workers’ Compensation Section of the Florida Bar News & 440 Report, and his responsibilities included keeping members of the Florida Workers’ Compensation Section of the Florida Bar abreast on the latest case law developments and their potential impact. From 2007 to 2013, Mr. Winer served as the Editor -in-Chief of the News & 440 Report. 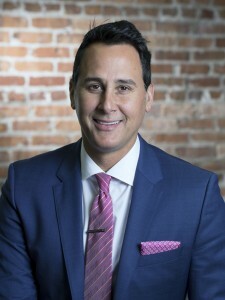 Attorney Winer has also holds the distinction of having been elected by his peers to the Executive Council for the Workers’ Compensation Section of the Florida Bar and his duties include lobbying in Tallahassee on behalf of the Section. For the year 2014, he has been elected by his peers to serve as Chair/President of Executive Council for the Workers’ Compensation Section of the Florida Bar. He also has been elected to serve on the Board of Directors for the Florida Worker’s Advocates (FWA). From 2012 to 2013, he has served as Vice President of FWA and has been elected to serve as President for 2014-2015. He has likewise been elected to serve on the Board of Directors for the Florida Justice Association (FJA’s governing board). He also is the author of the Workers’ Compensation Column in the FJA Journal, a bi-monthly publication providing case law and other updates to the more than 3,800 members of the Florida Justice Association. He is the current Chair of the Workers’ Compensation Section of the Hillsborough County Bar Association. In addition, Attorney Winer has handled well over sixty appeals in various appellate courts throughout the State of Florida, to include the Florida Supreme Court. Some of these cases have been landmark decisions in the workers’ compensation arena, establishing and expanding the rights on injured workers on significant issues such as psychiatric treatment, advances of compensation, fraud, attorney’s fees and changes of doctors. He also has appellate experience in non workers’ compensation appellate matters including a published decision in Aetna Commercial Ins. Co. v. American Sign Co., 687 So.2d 834 (Fla. 2d DCA 1996), and successful defending of that victorious appeal before the Supreme Court of Florida in American Sign Co. v. Aetna Commercial Ins. Co., 698 So.2d 543 (Fla. 1997). His appellate experience also includes the distinction of being asked by his peers in FWA and FJA to appear as Amicus (“friend of the court’) on behalf of those organizations in a number of significant cases involving constitutional rights. Mr. Winer is an honors graduate of the University of Florida and received his juris doctor from Stetson College of Law. From 2012 to present, Mr. Winer has been selected by his peers as a “Florida Legal Elite” (the process begins with an invitation to all members of the Florida Bar to provide the names of Florida lawyers they hold in highest regard- the votes are tallied by an independent research firm and a “Blue Ribbon Panel of prominent lawyers reviewed the list which represent the top 2% of attorneys in the state of Florida as judged by their peers.) The list of attorneys who received the prestigious distinction of “Legal Elite is published each year in Florida Trend Magazine. In April of 2014, Mr. Winer was recognized in the “2014 Edition of Tampa’s Top Rated Lawyers” be distributed with The Tampa Tribune, The Wall Street Journal, as well as with three national publications: The American Lawyer, Corporate Counsel and The National Law Journal. In 2014, The Million Dollar Advocates Forum recognized attorney Michael J Winer as a member. The Million Dollar Advocates Forum is recognized as one of the most prestigious groups of trial lawyers in the United States. Membership is limited to attorneys who have won million and multi-million dollar jury verdicts, awards and settlements. The organization was founded in 1993 and there are approximately 4000 members located throughout the country. Fewer than 1 % of U.S. lawyers are members. Also, in 2014, Martindale-Hubbell ™ selected Mr. Winer as a Top Rated Lawyer in Appellate Law. ALM as published in the July 28, 2014 issue of the Daily Business Review. In 2015, the National Association of Distinguished Counsel selected Mr. Winer as Member of the “Nation’s Top One Percent.” NADC is an organization dedicated to promoting the highest standards of legal excellence. Its mission is to objectively recognize the attorneys who elevate the standards of the Bar and provide a benchmark for other lawyers to emulate. Members are vetted by a research team, a blue ribbon panel of attorneys, and a judicial review board. By virtue of the incredible selectivity of their appointment process, only the top one percent of attorneys in the United States are awarded membership in the NADC. Workers’ Compensation Section of the Florida Bar.